Surfacing is one of the darkest books I've ever read. Watching the unnamed main character regress from a functioning member of society to a hallucinating animal is both fascinating and horrifying. 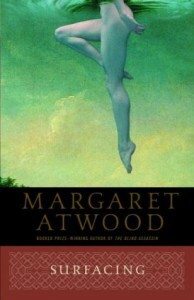 I absolutely love [a:Margaret Atwood|3472|Margaret Atwood|https://d202m5krfqbpi5.cloudfront.net/authors/1282859073p2/3472.jpg] and I really enjoyed this book. 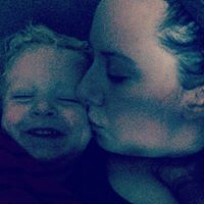 I just can not get past the almost cheesy happy ending. It felt way to forced to me and did not fit into the style of the book.